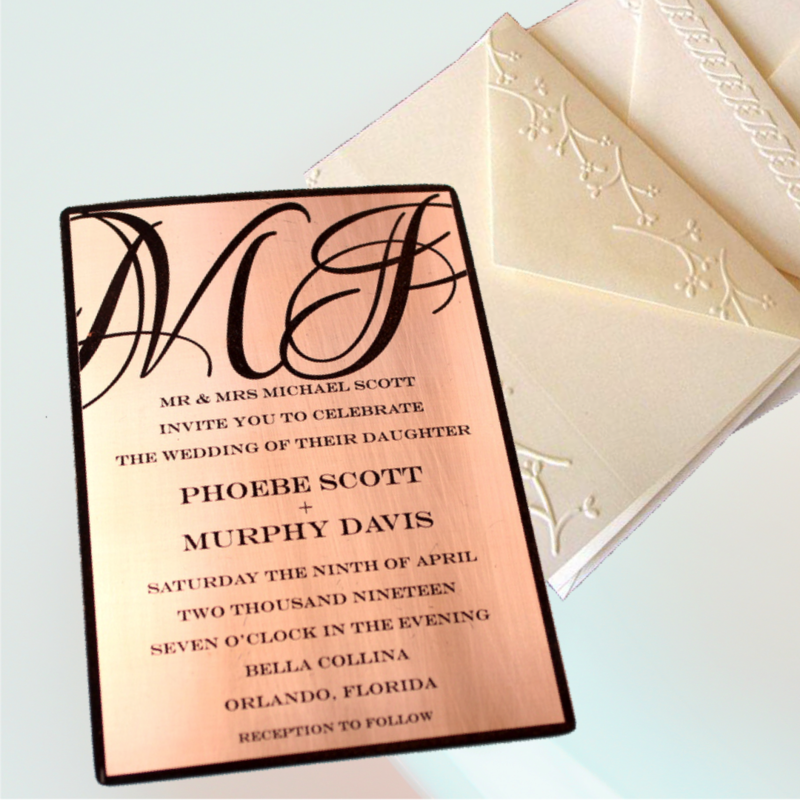 Looking for unique and different wedding stationery? Well, you found it! 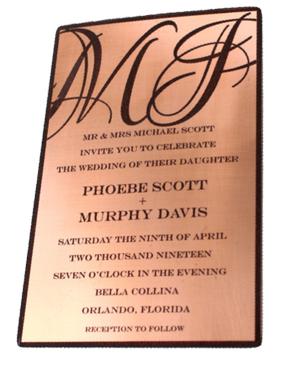 All products are handmade, diamond engraved and made with pure metals. 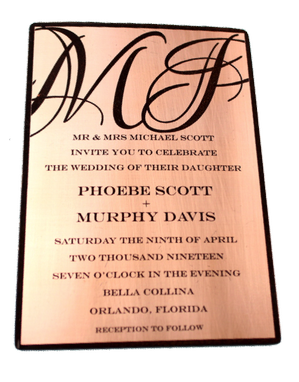 We have a unique process where we paint or naturally antique our metals, and then engrave them to expose the bright metal underneath. 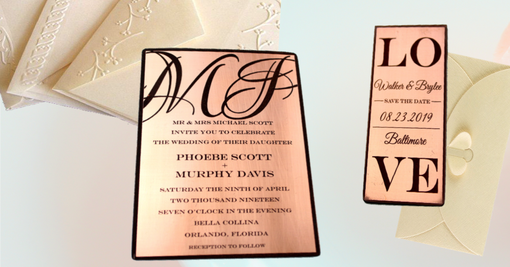 Inspired by the metallic trend, we take it to the next level to make your wedding or event really stand out. Invitations, Save the Dates and Thank You Cards are separated individually in protective luxe black velvet sleeves, for you to send to your guests in style. 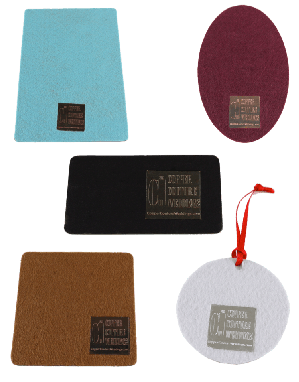 Size: 2"x5" 3"x4" 4"x4" 4"x6" 5"x7"
Please remember everything is 100% customizable; design, metal, color, shape, even texture. Our products are meant to be used as inspiration for creating a unique design just for you! All designs are available as save the dates, invitations, ceremony and reception accessories and much more! Contact Us to work with a designer or if you would like a sample! Two to three days after your purchase we will send you a digital proof for your approval, to make sure your design is perfect before going to final print. Standard turnaround is 3-6 weeks.